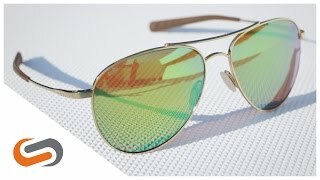 Costa South Point sunglasses are Costa's newest take on the classic aviator look. The Costa South Point is available to you in four frame combinations, and these prescription ready sunglasses have a comfortable large fit and integral hinge. Costa South Point boasts corrosion-resistant Monel frames for long-lasting durability. Need the Costa South Point prescription sunglasses? SportRx has got you covered and our awesome opticians can't wait to deliver the perfect pair of Costa South Point prescription sunglasses.